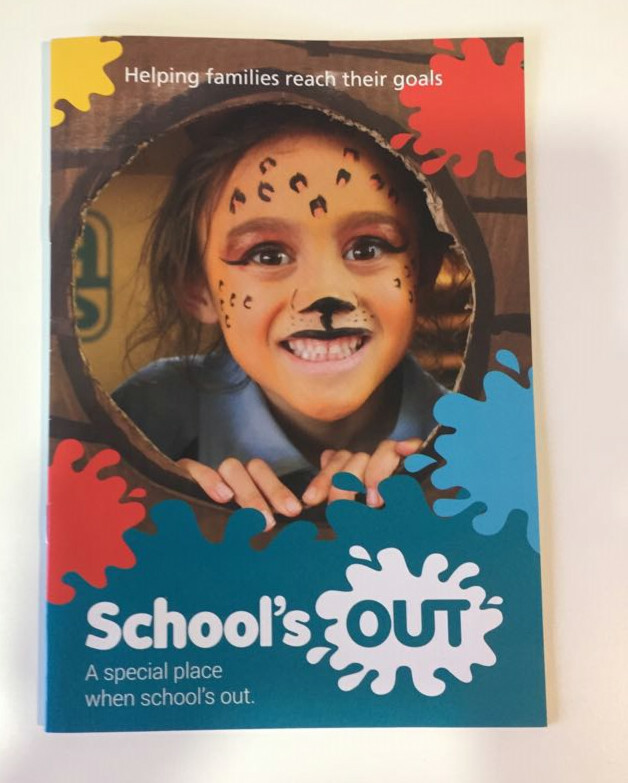 School's Out After School Care and Holiday Programmes aim to have “Safe and Happy Children, Happy Parents and Happy Families”. Their high gloss information brochure is four A4 pages folded to A5 size and stapled. The high gloss finish to this brochure really makes the beautiful images of their children at play jump of the page!